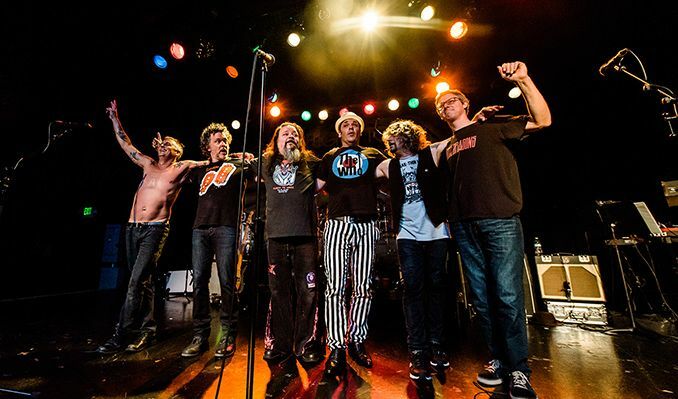 SEATTLE – After a hiatus in 2018, Flight to Mars, a tribute to 1970s English heavy rockers UFO featuring Pearl Jam lead guitarist Mike McCready, return play at The Showbox in Seattle, WA on Saturday, May 11th. Proceeds from the show will benefit the Crohn's & Colitis Foundation of America's Camp Oasis, as well as the Jennifer Jaff Care Line for People with IBD at Patient Advocate Foundation. $40 advance tickets are on sale now. Please visit the venue website for tickets and information at ShowboxPresents.com. Fans will have the opportunity to be first in the door through an exclusive VIP fundraising opportunity through the Wishlist Foundation, a fan-run grassroots nonprofit organization dedicated to supporting Pearl Jam’s charitable goals. Info: wishlistfoundation.org. Flight to Mars is a tribute band honoring 1970s English heavy rockers UFO comprised of Pearl Jam lead guitarist Mike McCready, Tim DiJulio (guitar), Gary Westlake (bass), Mike Musburger (drums), Ryan Burns (keyboards) and Paul Passarelli (vocals). In 2002, Mike McCready made public his 20-year battle with Crohn’s Disease and ulcerative colitis and has since been committed to raising awareness and funding for the cause. Proceeds from the shows will benefit the Crohn’s & Colitis Foundation’s Camp Oasis, as well as The Jennifer Jaff Care Line at Patient Advocate Foundation. Opening the show will be Dream Police, a NW Cheap Trick tribute band created and curated by Chris Friel, longtime friend and collaborator of McCready. Rounding out this band of local mainstays are Rick Friel, Kathy Moore, Sean Bates and Kim Virant. $40 advance tickets go on sale Friday, April 5th at 10:00AM Pacific Time (tickets will be $45 day of show). Please visit the venue website for tickets and information at ShowboxPresents.com.